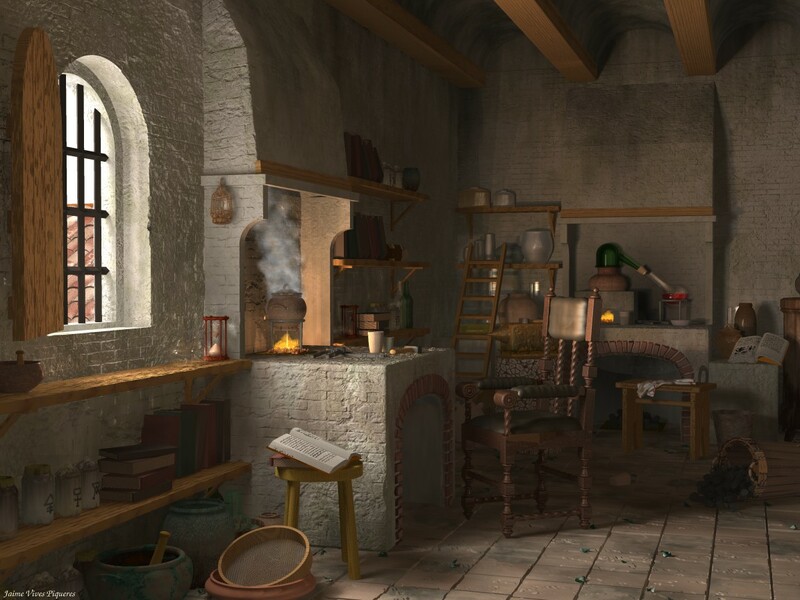 I did this scene in 2007 for a client, so I cannot release the code, but I don’t think he would mind if I publish some of the resulting test images. 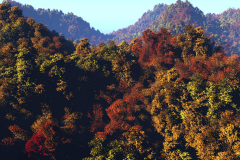 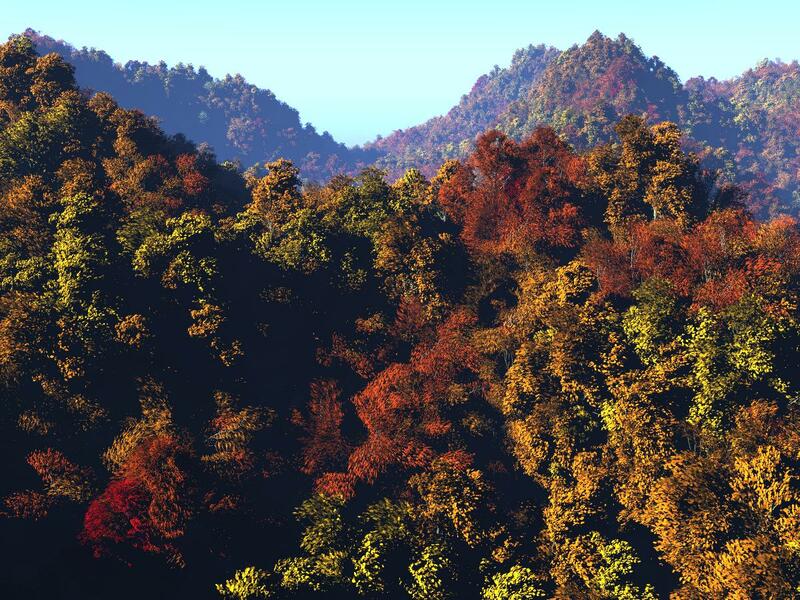 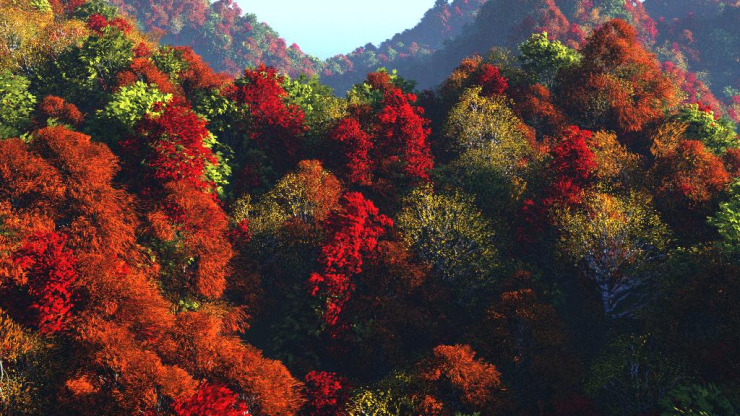 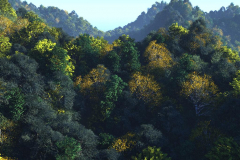 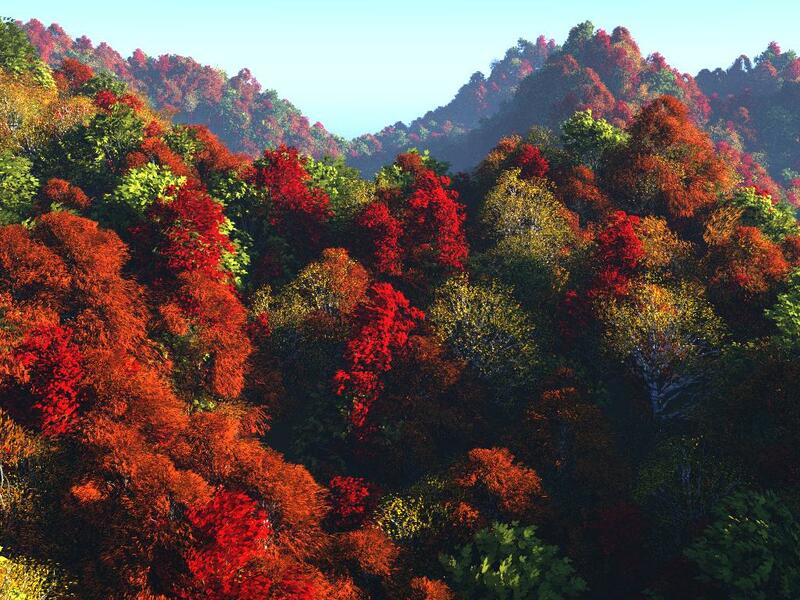 The forest uses several POV-Tree species, distributed randonly, but using pigment patterns to select the type of tree and the color of the foliage, so the forest looks more natural than a pure random distribution. The rest is my usual outdoors setup with Lightsys and a simple isosurface terrain (yes, even if it’s not visible).